Spray bundt pan with non-stick cooking oil (you can use two loaf pans instead). Preheat oven to 350 degrees. In a mixing bowl add sugars, oil, eggs, orange juice and vanilla. Mix well. In a second mixing bowl add the flour, salt, baking soda, baking powder, cinnamon and clove powders. Fold the dry batter into the sugar/oil batter (wet batter). 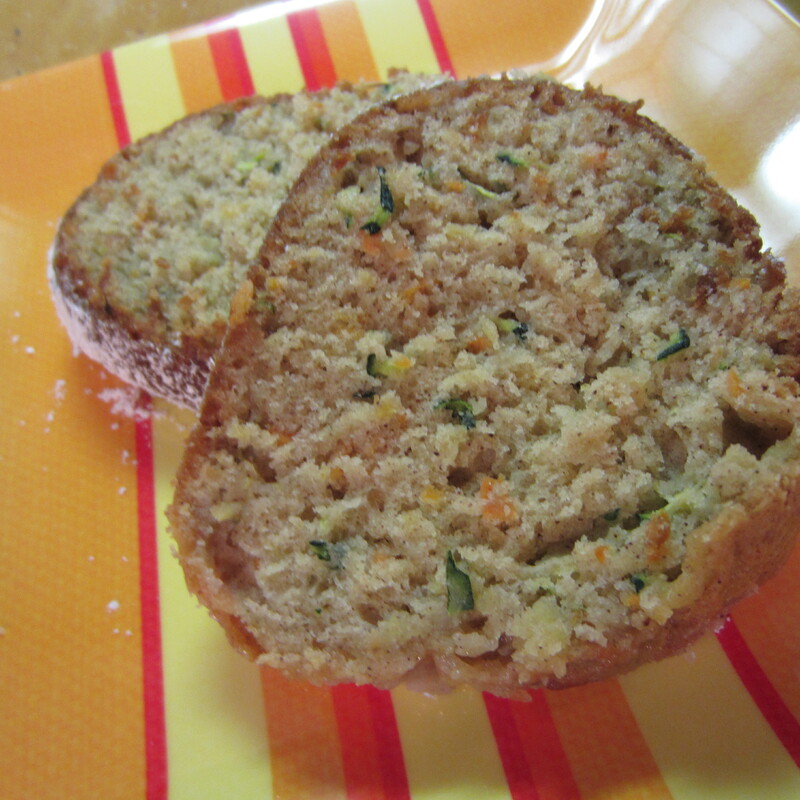 As you fold, add the carrots, apple and zucchini until the ingredients are thoroughly mixed. Spoon batter into pan and bake for one hour.The baked bread should spring back when touching with fingertips. Allow to cool to room temperature and remove from pan. Sprinkle top of bread with powdered sugar and serve. Enjoy! Serves 12. Swap out the granulated sugar for Splenda and use 1/2 cup applesauce for 1/2 cup Canola oil, you’re at a mere 137 calories per serving. If you opt out from the substitutes your in the neighborhood of 268 cals per serving. Even that’s not bad for a post dinner or breakfast treat.